and she wants you to give her a call! Early in 2015 I updated my portfolio website with additional social events – weddings, bar & bat mitzvah’s, celebrations and I never announced it. It deserves to be seen. I think you will enjoy thumbnail view – a quick glance at an entire gallery. No more clicking. So here it is, the new Ellen Wolff Photography website. It has at least 4 times the number of photos than the previous version. Click on my name below to check it out. Did you know this weekend is the first anniversary of the opening of the observatory in One World Trade Center? Click on the photos above to see the view for yourself. Limited and unlimited editions are available. The inaugural imagery is all about the NYC Skyline. Art work sizes begin at 8 x 10 in. An entirely different genre will be added next. Make Summer last forever with fine art portraits. There are dates available for photo sessions. Weekdays are more flexible. Rates start at 625. and include a matted 16 x 20 inch print. If you prefer something else like plexiglass or canvas, a custom package can be arranged too. Call for more information. The popular beveled mirror frame will be back in stock by June 15th. 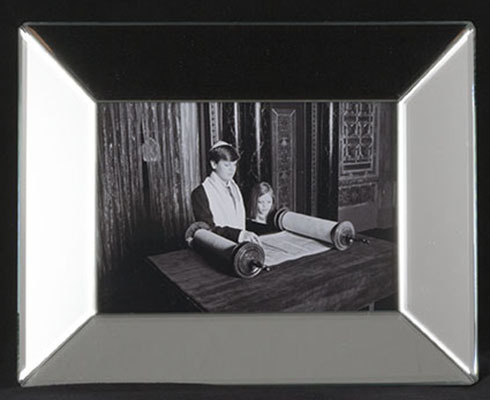 Each frame holds a 5 x 7″ photo as a horizontal or vertical. The price includes sales tax and shipping. Call 516-551-1745 to place your order. 2. We networked in the past year or so, and you gave me your business card. Great, thanks! Navigate to the bottom and pick the button that says Forward. Ok, if you must. Scroll down to the bottom and hit the unsubscribe button and your address will be permanently blocked. (I will be unable to add the same email address back in again). Thank you for taking the time to make it to the bottom.